Binge-Watching Weekends! Watch these without consuming your mobile data cap via Smart, TNT and SUN Prepaid Plans. 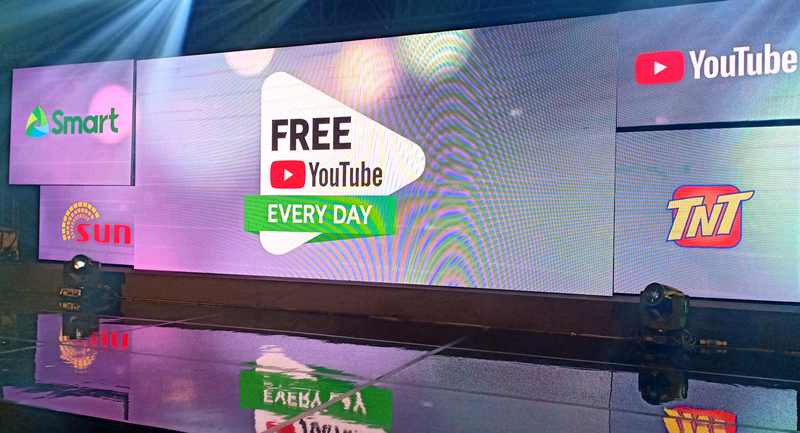 Recently, YouTube, our favorite time-sink video platform, partnered with Smart Communications to offer its SMART, TNT, and SUN prepaid subscribers free access for to Google’s giant video platform for an hour per day until July 15, 2018. Watch your favorite YouTubers, clips, movie trailers, music videos and yes even anime for an hour without burning through your Data Cap if you’re subscribed to any of the following prepaid plans from Smart, TNT and SUN Cellular: GigaSurf99, AllOutSurf99, GigaSurf50, AllOutSurf30, Panalo Data 30, Panalo Combo 30, and Big Time Data 70. No need to re-register as you automatically get the freebie as long as your plan is active! 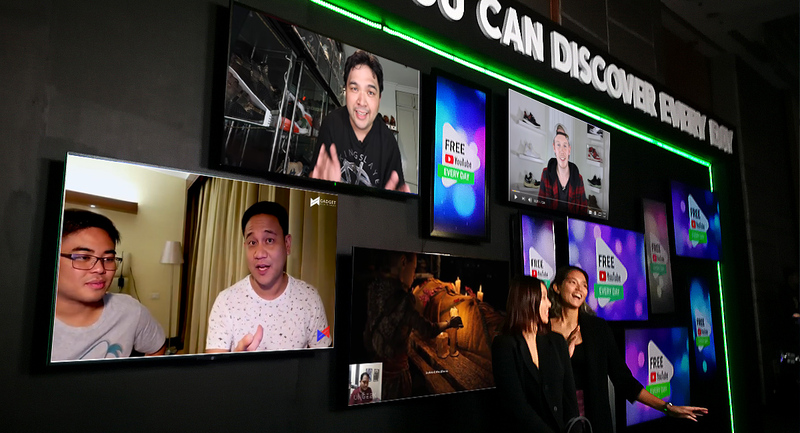 This recent partnership enables more Filipino Smart, TNT and SUN users to discover more entertaining, sometimes educational, quirky and fun content within the multitude of channels in YouTube. Basically, this promo gives people 1 Gig of free usage in YouTube (and soon in other platform—Twitch, hopefully) which roughly translates to approximately 1 hour of video playback at 720p resolution. If your watching your videos on standard 480p or even smaller resolution, you can continue watching more until you consume 1 Gig worth of data. With that, here are some videos you may want to plow through this weekend especially if your plan is active. If you’re still on the fence about the latest God of War game – and, in our humble opinion, an easy contender for Game of the Year—you may want to watch the first 30 or so minutes of game footage with excellent commentary by our resident Managing Editor and resident streamer, Robert Yatco. If you’re into sneakers you have to check this channel out and SUBSCRIBE! Why? Because the moment the channel hits 5,000 subscribers Carlo will personally raffle off a new Adidas Deerupt and the moment it reaches 10,000 subs he’ll raffle off a new Adidas Prophere! Plus you get to check out the latest sneakers, bags, accessories and gadgets as well and take key insight one of the mainstays in Philippine digital media. Speaking of sneakers, this dude is one of my favorite international (or at least North American) sneaker vloggers. I’ve been binging on his content for months and if you’re in the into the latest kicks and want to check hard-to-find sneakers, this guy either probably has it or will make it a point to talk about it in an educational and entertaining way. Watch maybe two or three of his recent videos THEN come back to THIS. This particular video is one of the most genius videos I have ever seen in his channel. Trust me, it’s PURE ENTERTAINMENT. Yes, this is the video where they read mean-tweets and/ or general comments posted on their YouTube channels. It’s a little left-field from what they usually do which makes it more entertaining. Major ka-poGian shenanigans abound. You have been warned. If you love gaming, and you love witty British humor, then Outside Xbox is the channel for you. Good gaming content, excellent wit and humor and Jane Douglas, a name you’ll surely not forget after watching le clip above.